Today, a growing number of patients are forgoing prescription painkillers and embracing natural methods to treat chronic conditions. As a result, medical cannabis has emerged as a promising, albeit controversial, form of treatment. 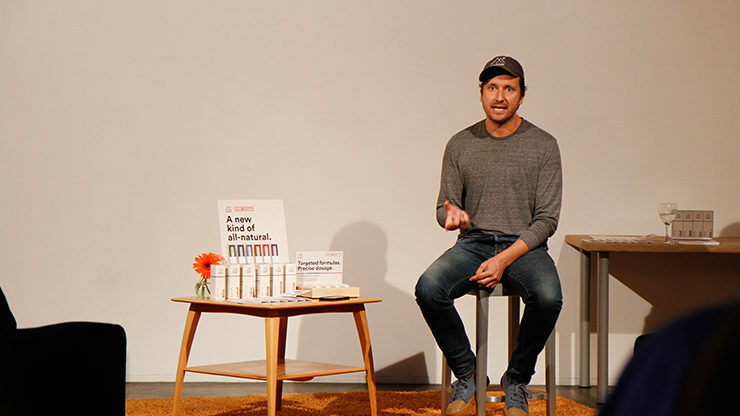 At Conversations, Derek McCarty gave us an inside look into Venice-based health and wellness startup Hmbldt, whose patient-focused mission is to create safe and effective cannabis products backed by science that improve the daily lives of patients. Derek provided insight into this rapidly growing industry and explored how Hmbldt is working to change perceptions of cannabis use. “Hmbldt was the result of a few great minds that focused on the relationship between man and plant,” said Derek. Working in an industry that is changing every day can present numerous challenges, but as the perceptions of cannabis continue to evolve Hmbldt is confident that it’s focus on the wellness of the user will tear down misperceptions and ultimately improve the daily lives of patients for generations to come.